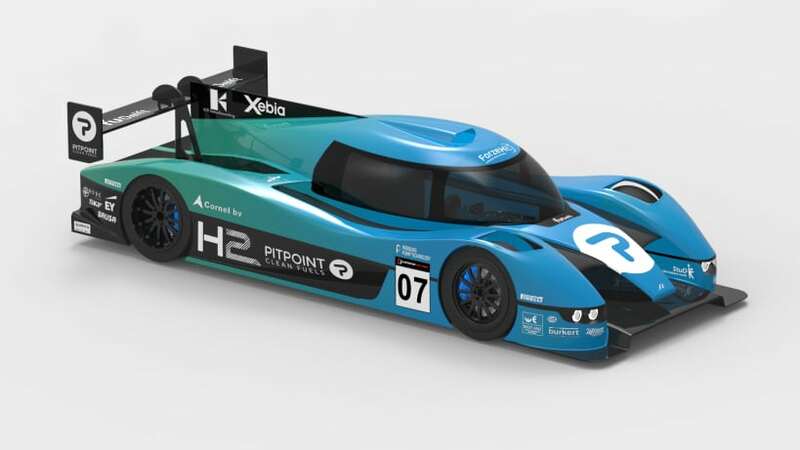 The hydrogen industry isn’t new to electric race car development: As far back as 2007, the Delft University of Technology had launched Forze, a project which brought together engineers and students for the purpose of designing and constructing a fuel cell race car. The aim of the project has been to combine racing and clean technologies. Within the past nine years, the team has developed seven prototypes. Work on the Forze VI was finished in 2013. Even back then, the car boasted numerous improvements: It was six times as powerful and efficient as its predecessors. Its lightweight construction and the changes in aerodynamics also turned the race car into serious competition versus fossil fuel models. Two years after its completion and a most exhaustive list of enhancements, it was taken out for several laps on Nürburgring’s North Loop by former Dutch race car and Formula 1 driver Jan Lammers. On May 7, 2015, he set a record for H2 cars by completing a lap in 10:43:56 minutes. Max Verstappen, the current Formula 1 driver for Red Bull Racing, later showcased the car’s capabilities in front of a 100,000-strong audience during the pre-show on Gamma Racing Day in the Netherlands, proving that hydrogen and racing aren’t such strange bedfellows after all. At present, the clock is ticking for preparing the vehicle‘s seventh generation: The Forze VII concept study was presented in March this year. The race car, which seventy students helped create based on an LMP3 chassis, is planned to compete – and win – against the fossil fuel counterparts on Aug. 6 and 7, 2016, during the Supercar Challenge on Gamma Racing Day. The Forze VII has a 100 kW fuel cell as well as an electric motor with a maximum power of 200 kW. The car’s top speed is 210 kph (130 mph) and it needs less than 4 seconds to go from 0 to 100 kph (62 mph).